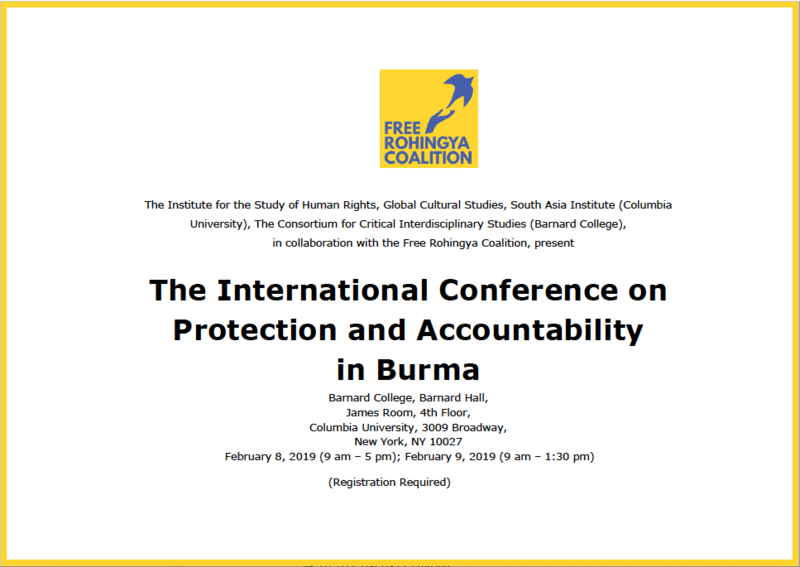 Free Rohingya Coalition, a leading global activist group led by and for the Rohingya people, is hosting a two-day international conference at Barnard College, New York City on February 8-9, calling for accountability and protection for national minorities in Myanmar. 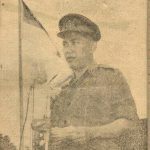 This is a rare convergence of academics and activists hailing from and with expertise on Burma, with humanitarians and international criminal law practitioners, according to the Free Rohingya Coalition (FRC) in a statement released on February 1. Within the last decade, approximately one in four US -bound refugees have been ethnic and religious minorities from Burma, FRC said. “Buddhism is a religion of absolute compassion for human suffering, and it is unacceptable that Buddhists can be marred by such absolute and immovable hate,” remarks Gayatri Chakravorty Spivak, one of the conference hosts and University Professor in Humanities at Columbia University. 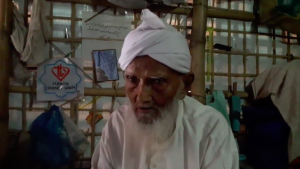 Since early January this year, there have been military clashes between the autonomy-seeking Arakan Army and the government troops in Rakhine state. Among the 35-speakers at the conference are UN Special Rapporteur on Human Rights Situation in Myanmar Yanghee Lee; Daniel Taylor, the plaintiff in Australia’s Crimes Against Humanity Case against Aung San Suu Kyi; Professor Radhika Coomaraswamy, lead author, Global Study on the implementation of UNSC Resolution 1325, on Women, Peace & Security; Professor Gregory Stanton, Founding President, Genocide Watch; and Tapan Kumar Bose, Renowned Indian journalist.